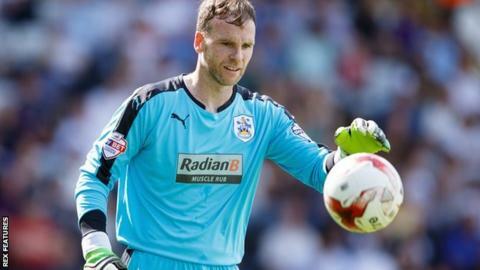 Huddersfield Town goalkeeper Joe Murphy has signed a new one-year contract, tying him to the club until the end of next season. The 34-year-old joined the Terriers on a two-year deal in June 2014 after three years with Coventry City. He has made nine appearances for the club in all competitions this season. "Joe is not only an excellent, experienced goalkeeper, but he is a great character as well," head coach David Wagner told the club website.